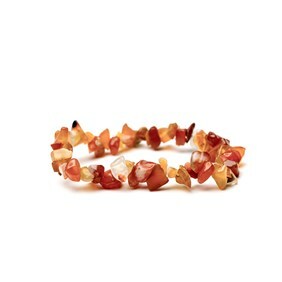 Bring joy and warmth to your handmade designs with stunning carnelian. 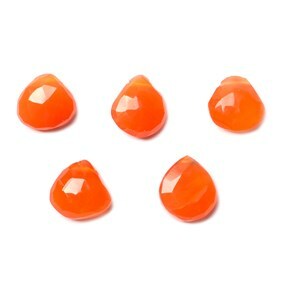 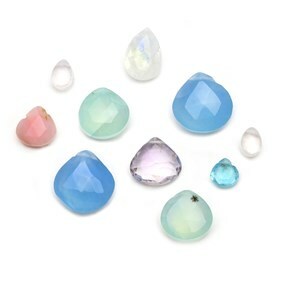 Shop our range of beautiful carnelian cabochons, faceted stones and beads below for your jewellery designs. 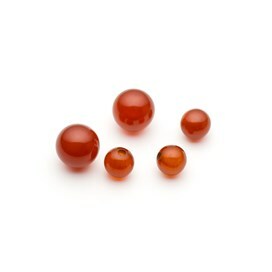 Carnelian or cornelian, is a brownish-red mineral which derives its name from the Kornel type of cherry because of its colour. 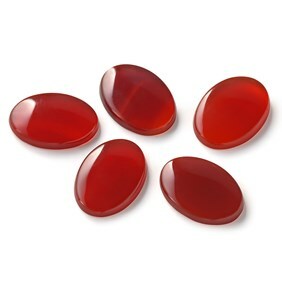 It is the flesh-red to brown-red variety of chalcedony. 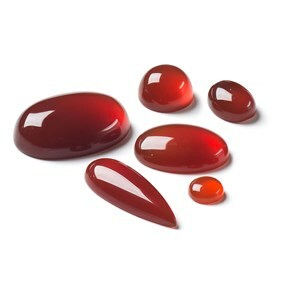 The best qualities come from India, where the brown tints are enhanced to red by exposure to the sun but it is mined worldwide in Australia, Brazil, Madagascar, Russia, South Africa, and the USA. 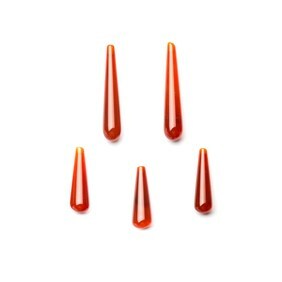 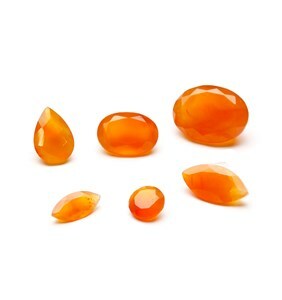 Carnelian measures 6.5-7 on the Moh's hardness scale. 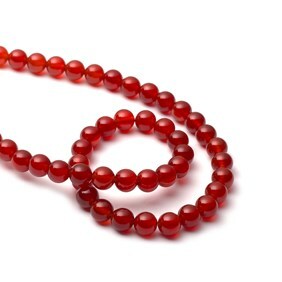 Many carnelian gemstones are dyed to enhance colour variations. 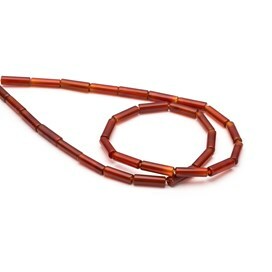 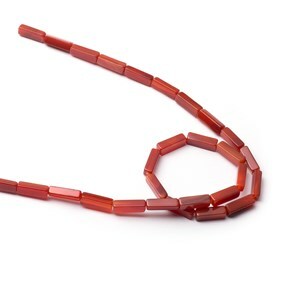 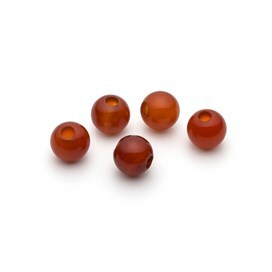 At Kernowcraft we have a range of natural, untreated carnelian such as our carnelian faceted stones, carnelian briolette beads and carnelian roundelle beads which all have a beautiful vibrant orange colour. 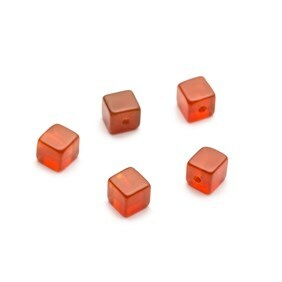 Due to the hardness of carnelian, it is great for all types of jewellery making designs. 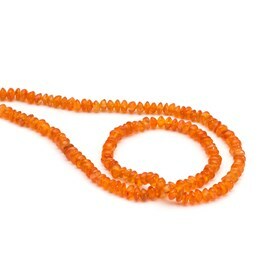 Carnelian works great with a number of other gemstones such as onyx, turquoise and green aventurine. 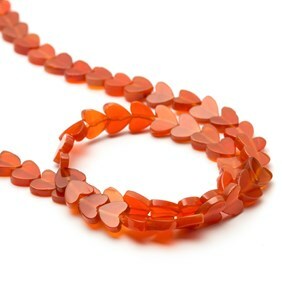 Carnelian gemstones are known to bring confidence and courage to the wearer, enables true expression and brings a passion for life.